Sometimes called by the scary sounding name dental prophylaxis, a teeth cleaning is a preventative measure that can reduce the likelihood of gum disease and sometimes partially treat disease that has already taken hold. During a teeth cleaning, mineralized plaque called tartar or calculus is removed. Even people with very careful oral health care routines can develop tartar, especially in difficult-to-clean areas. Cleanings at regular intervals are necessary for preventing disease — as is good home oral hygiene care. In most cases, a dental cleaning takes only 30 minutes to an hour and should be performed every six months or as indicated by the dentists. For some patients, more frequent cleaning is best. With the right home care and professional cleaning program, it’s possible to prevent periodontal disease, the primary cause of adult tooth loss in the United States and something that up to three-quarters of people experience at some point in a lifetime. In addition, cleaning can prevent cavities and other types of tooth issues because cleanings get rid of both plaque and tartar as well as the bacteria associated with it. give the dentist the information necessary to determine if periodontal disease is present. Professional teeth cleaning. As explained in the section above, a professional in-office teeth cleaning is the first step in the prevention of gum disease and a tool for treating it. A cleaning is recommended for most people every six months. Deep cleaning. Called root planing and scaling, deep cleaning is a type of treatment that helps to get rid of gum infections. The idea is to remove plaque, tartar and bacteria deep down under the gum line and clear up any infection that’s present. Gum disease surgery. There are many kinds of gum disease surgery that can be performed, depending on the nature of the problem present. 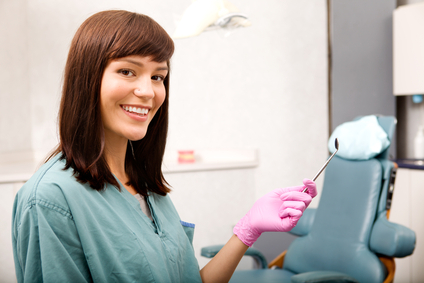 The dentist can make recommendations on how to solve any specific issues. When dealing with a holistic dental practice, overall health is taken into consideration in addition to the health of the teeth and gums. Education is also a big part of overall treatment. The goal is to put an end to current problems and prevent future ones with better nutrition, dietary supplements and whatever else it takes. This could include procedures not done by traditional dentists, including hydrogen peroxide therapy, ozone therapy and much more. Why not get in touch with this holistic dentist in San Diego now and schedule a teeth cleaning today? It’s an intelligent decision that can lead to a healthier mouth and a healthier body overall.